Continue along the Generals Highway (CA 198 East). Winding through groves upon groves of majestic sequoias, visitors eventually reach a clearing that is void of trees, becoming enveloped by Kings Canyon's expansive walls. Explore some of our favorite sites listed below or take a backcountry hiking adventure that's all your own! Grant Grove is home to the world's second-largest Giant Sequoia Tree, the General Grant. 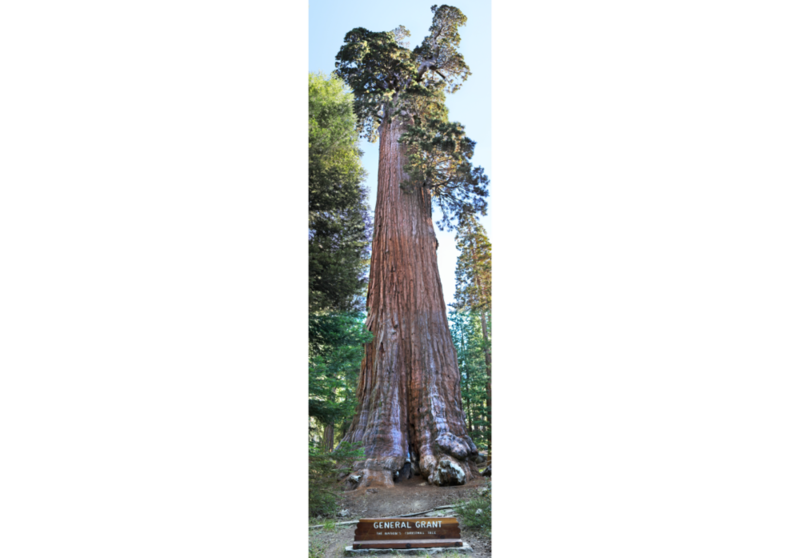 Located in Kings Canyon National Park, the tree was nicknamed the "Nation's Christmas Tree" by President Calvin Coolidge, and remains one of the primary visitor attractions to the area. Each Christmas the National Park Service hosts a trek to the Nation's Christmas Tree that gives visitors and locals a chance to see the giant dressed for the holidays. Underneath the sky-piercing forests and beauty of the Park's wide canyon, Boyden Cavern gives visitors a different perspective of the National Park. Featuring gorgeous stalagmites and stalactites this tour takes guests from the Pancake Room to the Upside Down City on a whirlwind tour to discover the underground world. 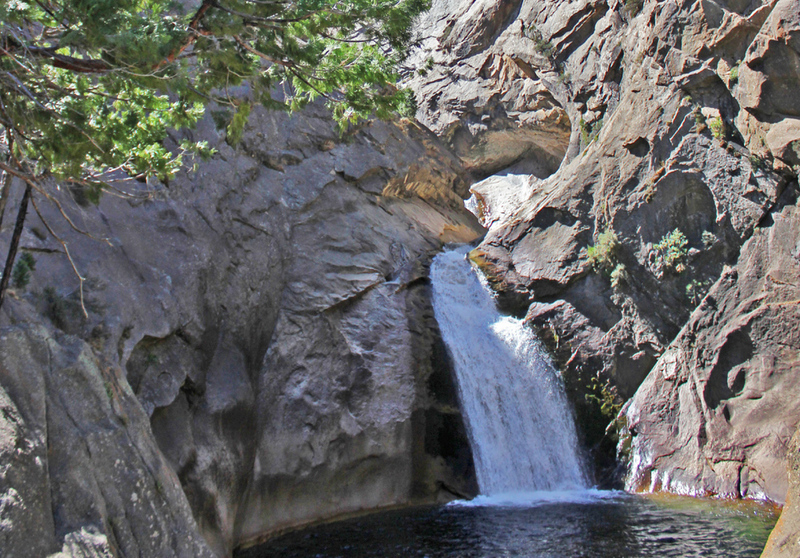 Roaring River Falls is located just off Highway 180 inside the Kings Canyon Valley and welcomes visitors with a spectacular show. The falls take a 40 feet dive over a narrow ledge, frothing and churning to give visitors an up-close view of Mother Nature's astonishing marvels. Visit this stunning meadow with high granite walls for one of the best day hikes in Kings Canyon National Park. 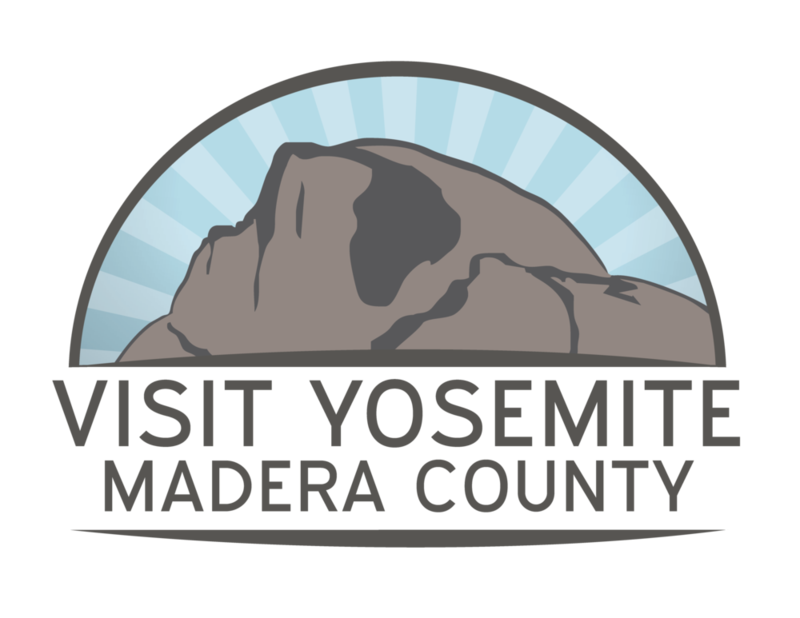 The short, 1.5 mile trail offers visitors views of the canyon, meadows, wildflowers, rushing river, Giant Sequoia trees and more! It really is what it sounds like! Reach the end of this road in the beautiful Kings Canyon for a permit "jumping-off" point for many of the National Park's most famous and beautiful backcountry trails: Bubbs Creek Trail, Woods Creek Trail, Copper Creek Trail, Lewis Creek Trail and more.